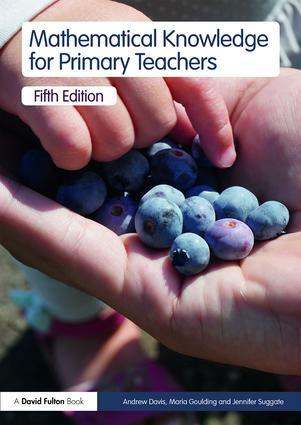 Now in its fifth edition, the best-selling text Mathematical Knowledge for Primary Teachers provides trainee teachers with clear information about the fundamental mathematical ideas taught in primary schools. With rigorous and comprehensive coverage of all the mathematical knowledge primary teachers need, the text goes beyond rules and routines to help readers deepen their understanding of mathematical ideas and increase their confidence in teaching these ideas. The book has been updated to incorporate changes in the National Curriculum and the associated tests. In addition, Chapter 1 has been expanded to discuss mathematical understanding in the light of the challenges posed by the current changes. These include the re-introduction of traditional calculation methods for multiplication and division, the early coverage of abstract fractions calculations and much more. ■ Straightforward coverage from theory to practice for all aspects of the Mathematics Framework. The book is accompanied by eResources which contains further visual activities and support, designed to scaffold and support the reader’s own understanding. Essential reading for all practising and trainee primary teachers, this book is ideal for those who wish to increase their mathematical understanding and confidence in presenting mathematics in the classroom.